The history of the company we have come to know under the name of Burger King (often abbreviated as BK) begins in Florida, in the 1950s. It all started with a restaurant chain called Insta-Burger King, which soon ran into financial trouble. From that point onward, there followed no fewer than 4 changes in ownership over the company. At the moment, though BK is often critiqued for its controversial ad campaigns, which have been perceived as misogynistic, or even tone deaf to currently upheld views on cultural diversity, they’re financially stable. At the end of 2013, Burger King boasted more than 13,000 restaurants in over 79 countries, 66% of which are based in the U.S., and 99% privately held. In all areas of the world, all Burger King restaurants are franchised, but franchising requirements and regulations vary from one region to the next. 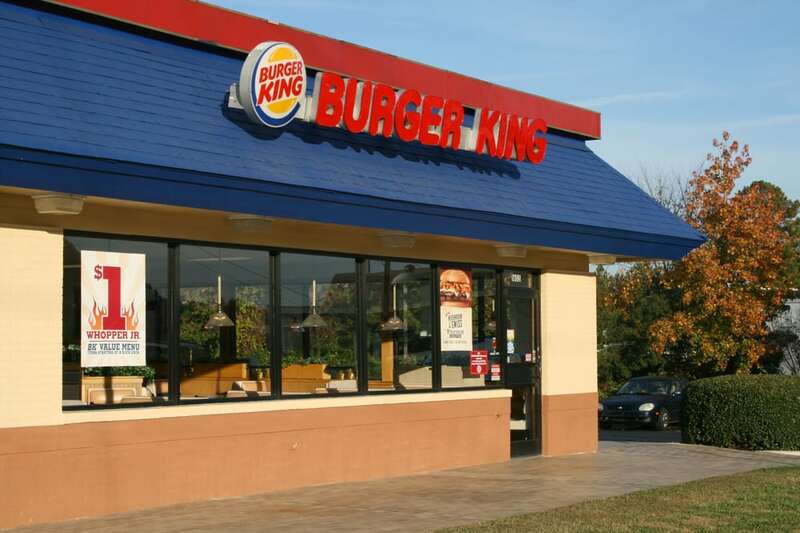 As far as Burger King delivery is concerned, this service is available in several local markets, including the U.S., UK, Singapore, Thailand, and The Philippines, among others. In several of these countries, delivery is only available in select locations. It can either be ordered off the company’s main delivery-dedicated website (https://bkdelivers.com/ for the United States), or off a service like foodpanda or OrderUp. Ordering from a dedicated service. As previously discussed, companies like FoodPanda and Seamless have a wide range of restaurant offers available on their menus. Burger King is among them, so you can always order their sandwiches, beverages, or desserts via a stand-alone delivery service. As expected, such services come with their own terms and conditions, when it comes to delivery areas, times, and fees. Ordering from the main BKDelivers.com website. This site is only available on the main markets, like the US, the UK, Singapore, Malaysia, and so on. Furthermore, in some of these countries, you can only order deliveries to specific areas. Do note that Burger King menus are different from one country to the next, so there’s no rule of thumb that can be gleaned, in term of what items you can order. As a general principle, if it’s available in bricks-and-mortar restaurants in your country, you can probably also order it online. This chain of restaurants is notorious for experimenting with several types of sandwiches which tanked in the United States, yet were hugely successful on other markets. Since it became aware of this, the company has customized menus based on regional cultures and eating habits. In most Muslim countries, ingredients and items on the menu are halal, while in Israel, kosher rules are strictly observed. The one exception to the local offer rule is the breakfast menu: Burger King does not deliver items from the breakfast menu, which include the Ham, Egg & Cheese Sandwich, the Breakfast Burrito, as well as others, depending on the country in which you are located. Obviously, ice cream desserts cannot be ordered either, but kids’ menus and other desserts have become available, since Burger King first launched its delivery service. The BKDelivers website provides a quick re-order feature, which allows you to select favorite items with no more than a couple of clicks. Burger King often offers special, online-only deals, which are time-limited. Most of the time, these entail special menu combinations, available at lower prices. Also, Burger King will offer new sandwiches as a Limited Time Offer deal—most recently and notably, this was the case with the Chick’n Crisp sandwich, as well as with variations on their core products (such as the Texas Double Whopper). By ordering off the main website, you can also get access to the BK Loyalty Program. This will reward you with specific bonuses, among which a free item on your fourth website-based order. As is usually the case with online food delivery services, you can also use a promo code, or a discount coupon Codes and coupons are frequently available to return BK customers, either on the BKDelivers website, or in-store. Delivery areas and times for Burger King orders are based on the number of restaurants that deliver, in each specific area. For instance, in the State of New York, there are 15 such restaurants listed on BKDelivers, and most of those located in NYC are open until 10pm. Much of the same applies tto other major metropolitan areas, like Los Angeles, Chicago, Boston, Houston, Phoenix, and Las Vegas. Compare this with a smaller state, where demand is clearly lower: in Wisconsin, for example, there’s just one delivery-ready Burger King, located in Milwaukee. You can access the complete list of Burger King delivery locations and times by searching for ‘restaurants near me’, or finding the closest one to your home at this link. In the United Kingdom, Burger King started delivering food orders in February 2015. However, to the great dismay of many Whopper fans across the pond, the service is only available to 8 select locations as of the writing of this article. They are: Romford, Hornchurch, Skegness, Hull, Northapmton, Truro, Gants Hill, and Hayes. According to The Mirror, that’s about 683,000 people, or a bit more than 1% of the United Kingdom population. The publication also noted that several major urban areas, like Glasgow, Leeds, and Manchester, are currently deprived of indulging in their favorite fast food pleasures. A poll ran by the same source says 89% of Brits are unhappy with the areas that Burger King chose for its delivery trial run. Delivery times vary greatly based on location. In Singapore, for instance, deliveries must be placed before 9:30pm and orders worth more than $120 should be placed 2 hours in advance. Like most restaurant chains which provide food delivery services, Burger King reserves the right to suspend delivery services and cancel orders if weather conditions suddenly become impracticable. Typically, orders in busy urban areas can take up to 60-90 minutes to arrive. They are usually delivered by branded vehicles, topped with delivery signs. As per industry standards, food is delivered in insulated black bags. 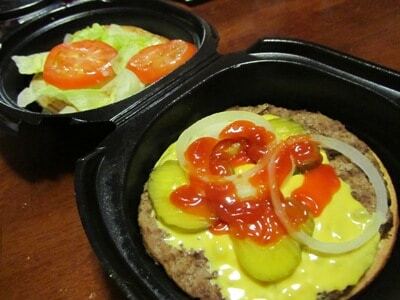 The Whopper is delivered in a black plastic container, which one reviewer aptly described as ‘a Darth Vader happy meal’. Actually, the description on the packaging states that all Burger King sandwiches benefit from “proprietary thermal packaging technology”. Some fast food fans may remember the Styrofoam controversy which pitted Burger King against its traditional nemesis, McDonald’s. Burger King has never used Styrofoam packaging and moved away from using paperboard boxes in the early 90s. Nowadays, most Burger King orders are delivered in waxed paper boxes, except for ‘finger foods’ like Chicken Tenders, Fries, French toast sticks, and desserts. Is Burger King food actually crispy or hot, as advertised? According to this review, the food that was supposed to be crispy actually stayed crispy. Of course, experiences with the BKDelivers service have varied, but, by and large, it seems that getting soggy food is not as common an occurrence at Burger King as it is at other restaurant chains. If you order from a food delivery website like OrderUp or FoodPanda, you should expect to pay an order processing fee—for OrderUp, for instance, the fee is $0.95. If ordering via the company’s own website or by phone, the minimum order is $10. The delivery fee when ordering off BKDelivers tends to vary from one region to the next, but, for most of the U.S., it stands at $2. It’s also important to know that delivery personnel at Burger King do accept tips. Why is this relevant or worth mentioning? Because in-store staff at Burger King are not allowed to take gratuities. Though it has become a much less popular option, since the advent of online food ordering services, Burger King clients can still phone in their orders. Lacking access to the internet? You can always call 855-ORDER-BK (855-673-3725) if you’re dying to sink your teeth into a Whopper. The Aussie burger: BK operations in Australia have been fraught with tensions and the local franchise is mandated to operate under the separate name of Hungry Jack. Among others, it offers this beetroot and fried egg burger. All-American desserts: not available in many other countries, these include Hershey’s Sundae pie slices, and apple pie slices. On several global markets, the company sells Cini-Minis, tortas, muffins, and brownies. Hey Buddy!, I found this information for you: "What You Should Know about Burger King Delivery". Here is the website link: https://all2door.com/burger-king-delivery/. Thank you.